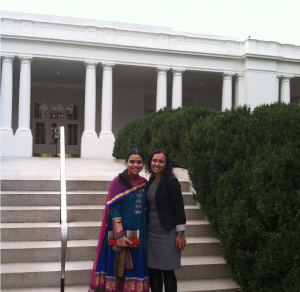 As I entered the warm hallways last week at the White House Diwali, it dawned upon me that exactly a year ago, on November 4th, 2012, the possibilities in my life had expanded – it was the day I received my approval for Deferred Action for Childhood Arrivals (DACA). But I never imagined a day when I would celebrate Diwali at the White House. I could finally see myself living my American DREAM, going to medical school and one day, practicing medicine in disadvantaged areas around the world. My DREAM is one that follows the core American ideologies, to help those who are less fortunate, extend a hand in time of need, and be the hope and change for others. As an audience to the First Lady’s Diwali wishes, I was in the presence of advocates and activists, Members of Congress, judges, officers from the armed forces, business persons, and ambassadors from the South Asian community. In this moment, I could not help but wonder about my future as a South Asian American and the future of all immigrants. And, I yearned for the celebratory day when the “land of the free and home of the brave” accepts all its immigrant communities as Americans. A day when those who long for their “flicker of hope” have a chance at their AMERICAN DREAM. 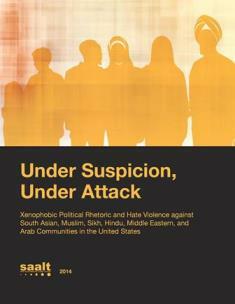 This new analysis finds that South Asian, Muslim, Sikh, Hindu, Middle Eastern, and Arab communities are subject to an increasingly hostile climate in the United States, characterized by frequent hate violence and rising xenophobic political rhetoric in the national political debate. 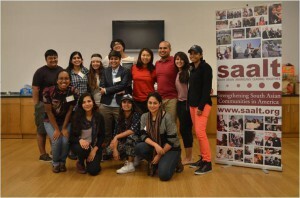 Among the 11 million undocumented people living in this country are South Asians, including those from Bangladesh, India, Nepal, Pakistan and Sri Lanka. Many are students who seek to go to college, spend time with friends and family, and pursue their professional interests. 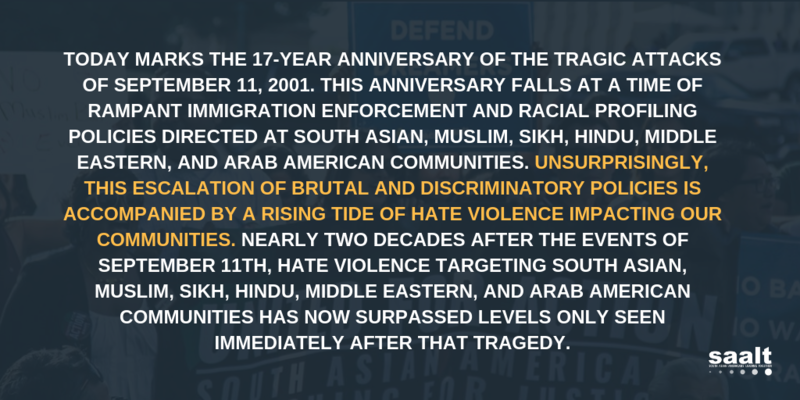 In fact, there were approximately 240,000 undocumented Indians in 2011 alone, making India the seventh highest country of origin for undocumented individuals in the United States. If you are undocumented and South Asian, you might be eligible for assistance under the Deferred Action for Childhood Arrivals policy.